Pneumocystis jiroveci (previously named P. carinii) is an organism that can cause Pneumocystis carinii pneumonia (PCP) in immunocompromised patients. PCP, long associated with morbidity and mortality with HIV-infected (AIDS) patients, is now increasing in prevalence among the non-HIV infected immunosuppressed population. Early detection allows the introduction of appropriate treatment and may improve chances of patient survival. The Fungi Fluor® Pneumocystis kit offers a fast, fluorescent staining procedure for Pneumocystis jiroveci in bronchial specimens. 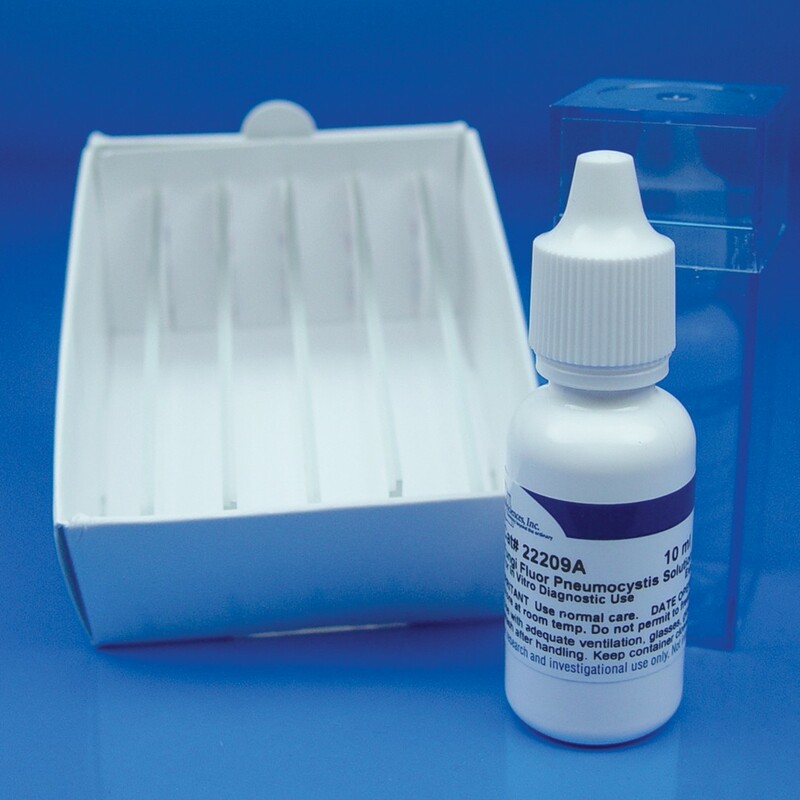 Kit contains: 10ml of Fungi-Fluor Pneumocystis solution and 10 control slides. Procop GW, Haddad S, Quinn J, et al. (2004) Detection of Pneuemocystis jiroveci in respiratory specimens by four staining methods. J Clin Microbiol. 42:3333–3335.